Icon Fix - This addon will fix most of the ? icons you get(Mostly for Xmogs and some other custom drops). it is purely visual. AtlasLoot Enhanced for Fallen Heroes - This is a AtlasLoot update for Fallen's custom content. 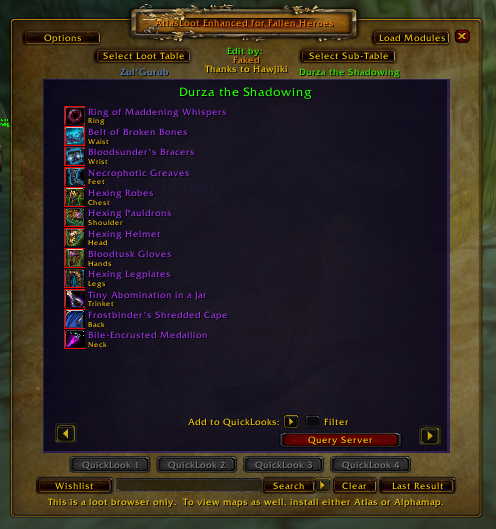 Currently it features all of our currently released Zul'Gurub bosses loot. We will keep it updated as new bosses are released. It will also contain all the future custom bosses, dungeons, and raids released on Fallen. Thanks to Lovingdeath for the update. Last edited by cheddar; 08-22-2018 at 04:53 PM. Atlasloot Revamp for the ZG instance. Last edited by Davidiandude; 08-23-2018 at 10:41 AM. 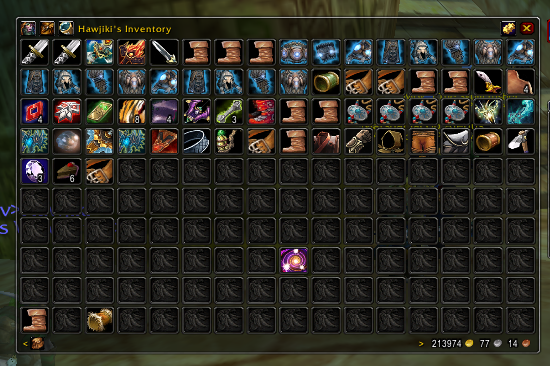 Well this addon looks useful.